ViewRanger has been voted the judges’ favourite smartphone navigation software in the 2014 GearWeAre awards! The UK gear review website GearWeAre.com was launched at the beginning of September 2010 with just one aim: to tell people what’s good – and what’s rubbish – in the world of the outdoors. Their reviewers are not paid a penny, so you can be sure that they tell it like it is! The Gear Awards are voted for by a panel of 8 real-world outdoors enthusiasts and winners reflect the gear that they love: "the stuff that made our lives a little bit better, or made us sit up and take notice." "thanks to its easy interface and safety-tracking buddy-beacon feature." Don't know what the ViewRanger Buddy Beacon is? 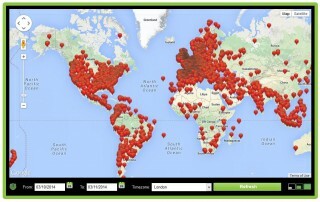 ViewRanger's BuddyBeacon is our free location sharing tracker service. It allows you to share your real-time mapped location with friends to see via the app on their smartphone or via our webpage. Equally, you can see their location on your mobile or through the web. You can also link your Twitter account to your BuddyBeacon - so you can even share your experiences – as they happen. When viewed via the web, "tweets" you send are associated with your "breadcrumb" trail on the map. 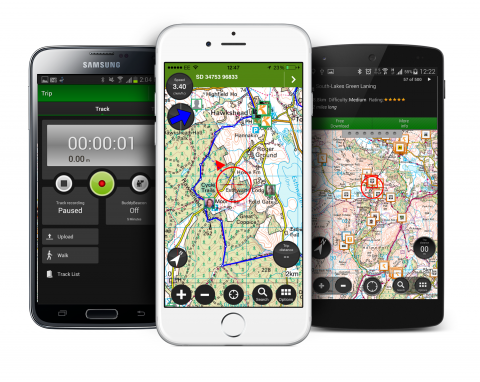 A great feature, if you are on a charity expedition to let your sponsors know your progress and how you are feeling.